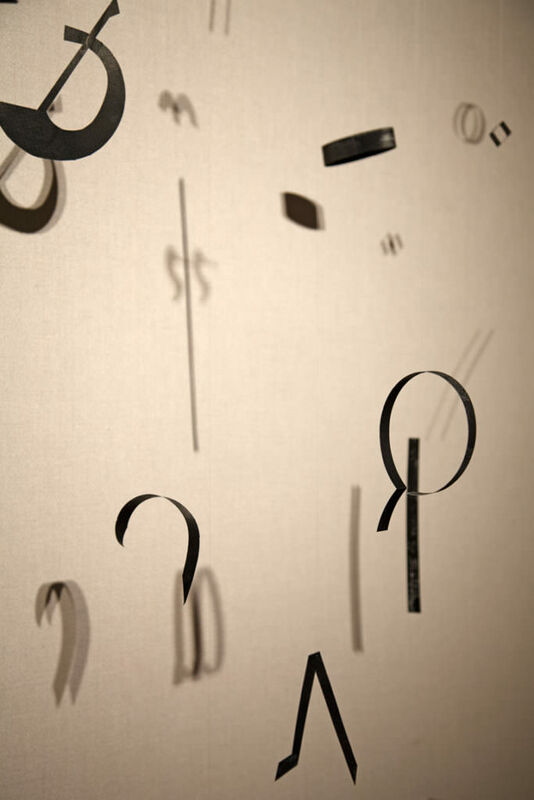 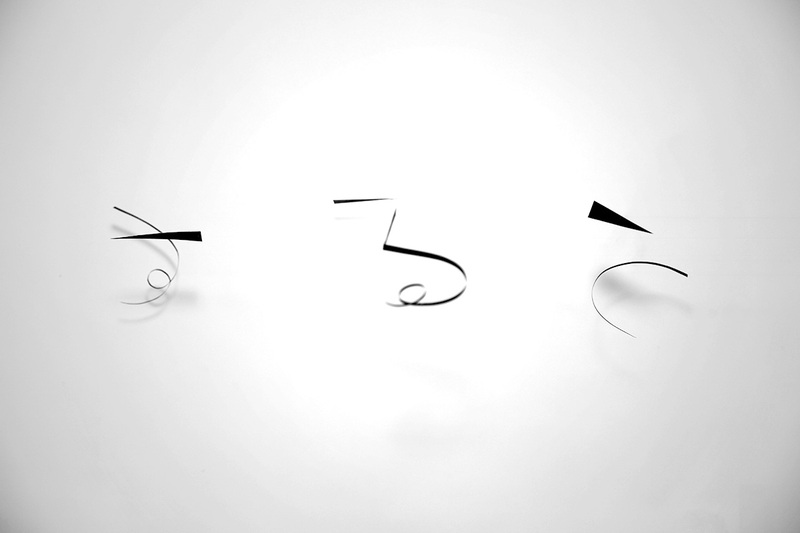 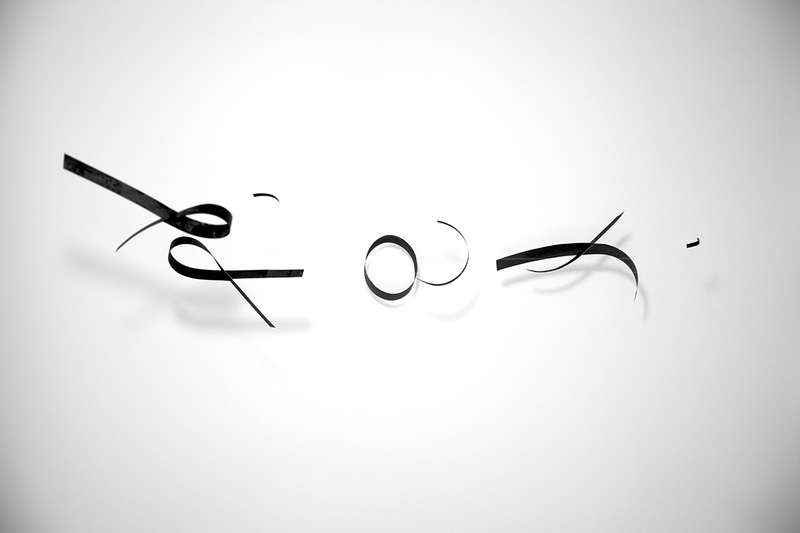 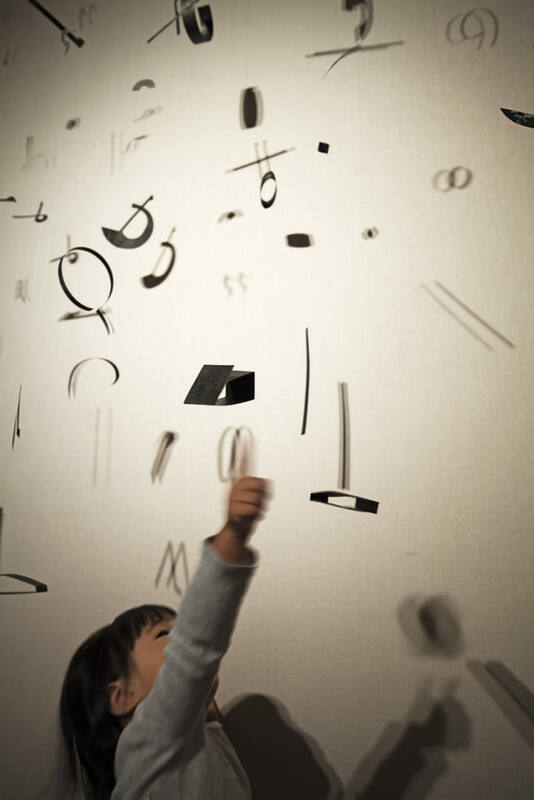 “Typogravity” is a mobile created with paper and strings without computer graphics. 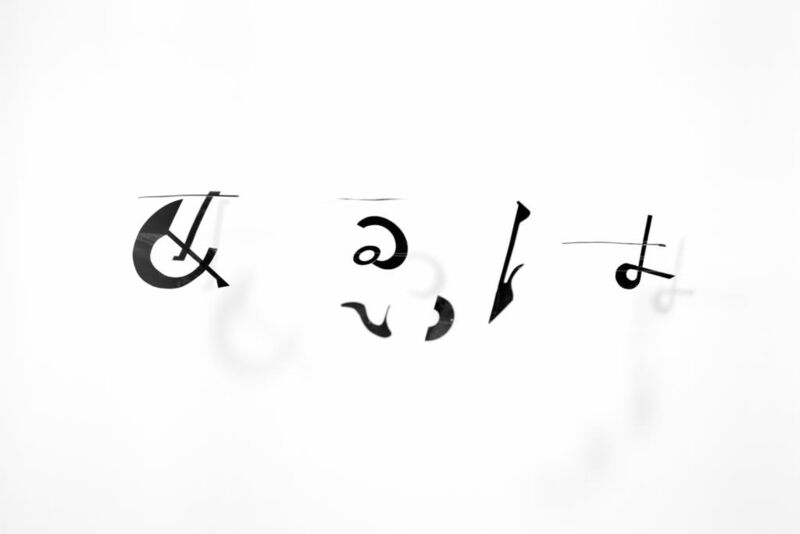 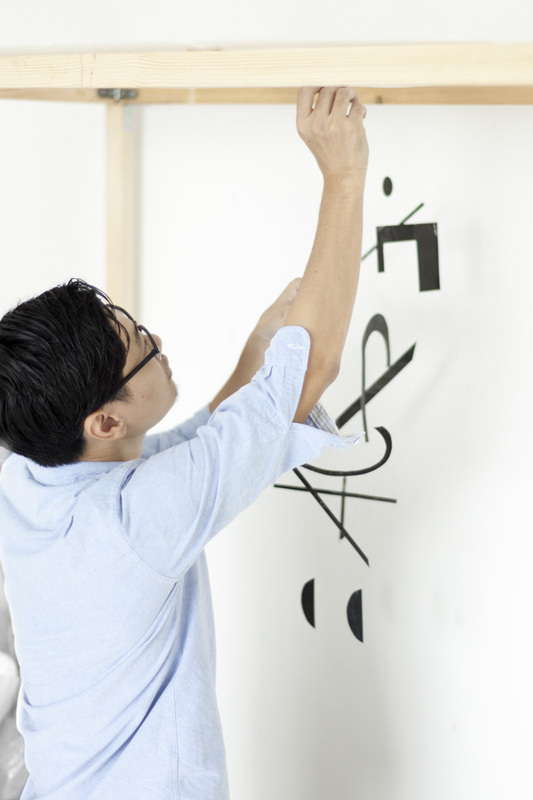 Each piece that creates a word is taken into elements and is constructed with mobile. 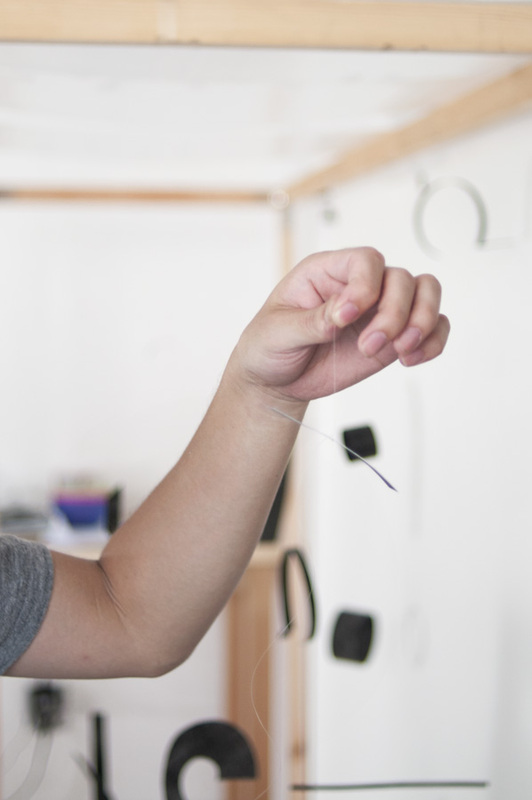 And having the mobile as the fixed point, it is video taped and are played on a personal computer,tablet, or on a smart phone. 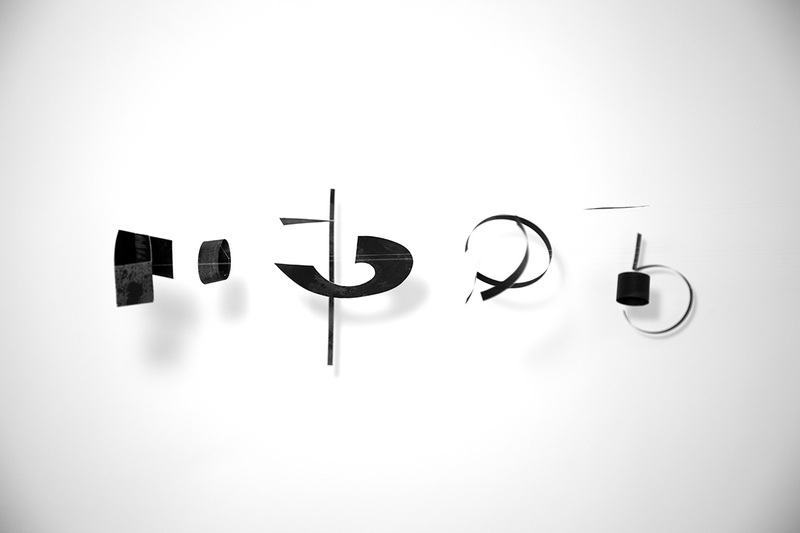 By rotating to a different angle from the direction of which the piece is gravitated towards when the mobile is hung, we can recognize that the movement of the mobile forms certain words. 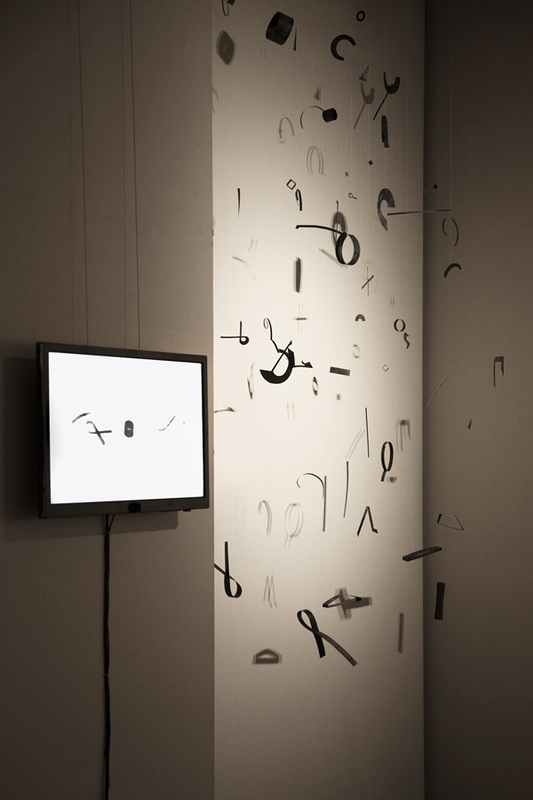 Formation of various words is formed and perceived as the mobile overlaps in the air while it continues to make movements.